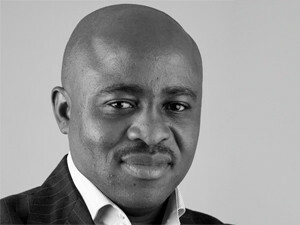 Small ERP players are challenging traditional enterprise software vendors, says Thabo Ndlela, director of IFS Africa. Enterprise resource planning (ERP) software was once the preserve of large organisations with deep pockets and plenty of in-house resources. So says Thabo Ndlela, director of enterprise applications provider, IFS Africa, who notes a number of smaller vendors have entered the market to address the demand from mid-sized companies for enterprise software that helps them increase efficiency and reduce costs. "These players are challenging traditional enterprise software vendors, who are struggling to change their existing products to fit a more flexible, project-centric market," says Ndlela. "Enterprise business software as a product offering has matured to the point where functionality is available to accomplish most business tasks, and vertical industry specialisation is becoming more commonplace. However, enterprise software, in the main, is still complex and difficult to use." According to a recent report by Panorama Consulting, "Clash of the Titans 2014: An Independent Comparison of SAP, Oracle and Microsoft Dynamics", SAP (26%) is the leading ERP vendor, followed by Oracle (17%), tier two vendors (14%) and Microsoft Dynamics (11%). The remaining 31% is made up of tier three or small vendors. According to Eric Kimberling, president of Panorama Consulting Solutions, an ERP consultancy firm, tier three vendors are gaining ground because the big ERP vendors simply can't be everything to everyone. Ndlela says some enterprise suites have greater barriers to usability than others, and these structural barriers include multiple purchased products integrated into a suite, which forces users to learn many different interfaces and architectures rather than just one ? modules that do not facilitate easy flow of information between one part of the suite and others from purchasing into finance, for instance. "The applications are also too disjointed, or the vendor's business model does not allow for an integrated enterprise application search tool; and convoluted architectures that make it hard to evolve applications towards a more useable interface," says Ndlela. He believes, without a fully-developed service-oriented architecture, it may be necessary for a software vendor to fully redevelop its application just to simplify the user interface. In some cases, he explains, vendors may chip away at the usability problem by selling additional products, such as search tools that bolt onto an application. He notes these tools not only bring additional licence costs, but require a significant integration effort to implement properly. "This added expense may be difficult for mid-market companies to absorb, resulting in fewer companies using these technologies and therefore losing out on the benefits." According to Ndlela, functionality has become commoditised and the real differentiator between vendors and products will be the degree to which that functionality can be easily understood and used throughout an organisation. He says enterprise application users are becoming more accustomed to the simplified but powerful applications they encounter on the Web. "They want their enterprise tools to look and feel the same way. CIOs want to be able to surf their enterprises as easily as they surf the Web. "As business becomes more complex, our software must become simpler. In the mid-sized market, only those software vendors that simplify and streamline their applications for usability will survive."